Pianist Tyler Greenfield collaborated with a number of accomplished Cuban musicians to create this Latin jazz album of Cuban bolero classics, released on the Bim Bom Studios label. 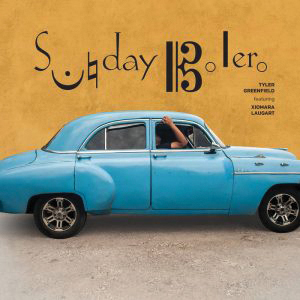 Sunday Bolero is one of those performances that is sharply etched and full of detailed expressive insights. The album has a gentle, tender spirit that is bathed in the lyrical, wistful qualities of the Cuban bolero. Woven into this music is Greenfield’s marvelously expressive pianism, which includes playing that is sometimes barely above a whisper, as he seems to caress rather than “play” the piano. Released as an audiophile vinyl for now, this record has every quality to make it eminently desirable by the most discerning listeners.